George is 19 years old and suffered an injury playing football when he was 12 which left him disabled. 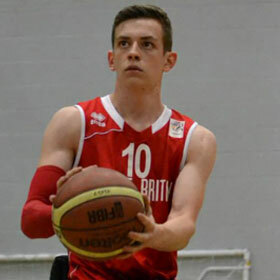 Being a talented sportsman he wanted to continue playing sport and started playing wheelchair basketball when he was about 13 for his local side the Leicester Cobras. He quickly took to the sport and is now playing for Great Britain U'23 side. He was recently selected to represent GB U'23 at the 2013 U'23 World Championships in Adana, Turkey where the team came fourth. The Matt Hampson Foundation contributed a significant amount to help fund George's new bespoke sports wheelchair. George believes the chair has really improved his level of play which helped in his selection for the World Championships. He is now working towards the U'22 European Championships this summer and has a long term goal of the Rio Paralympics.